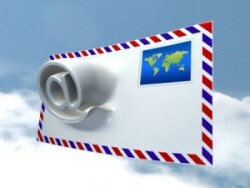 Email campaign management has never been simpler than with iEnhance! We are able to track your campaign from beginning, through the send, and through your website. So, you can see in real time who is reading your email, and their behaviour once the email is opened. We can design an email template for you, and from your office, you are able to add your own content, and send as necessary. You are in control at all times, and have access to all tracking records. Statistics are clearly displayed in both graphical and numerical form, so you can see exactly what is going on and use the gathered data for future campaigns. Our system will manage email bounce back automatically, and will group the bounces into "hard bounce" (none existant address etc), and "soft bounce" (mailbox full). So, you will not have to deal with the task of deleting addresses yourself. Your Database is yours. You can upload your latest database at any time, and make backups for your own peace of mind. Or, we can make monthly backups for you. Even though the system is simple and extremely user friendly, advice and help is only an email away. We pride ourselves in our customer support, and are here to help at all times.